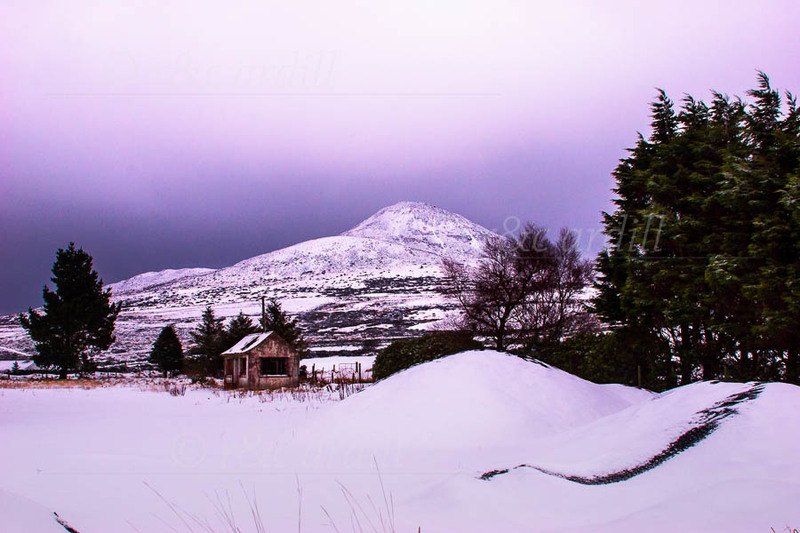 A view of the Sugarloaf Mountain in winter. The Great Sugarloaf is a very distinctive mountain as it stands alone on the relatively flat plain surrounding it. It is often mistaken for a volcano, but it is in fact a quartzite deposit from the deep sea. The Great Sugarloaf has roughly the same shape as Croagh Patrick in Mayo. From its summit, the mountains of Wales can be seen on a clear day.